Giving rise to "new class of PCs with unique capabilities"
Microsoft has finally lifted the lid on Windows 8 on ARM, saying that it doesn't want ARM-based devices to be simply referred to as standard Windows systems with a different processor. Instead, Windows 8 on ARM (known at Microsoft as WOA) will give rise to a whole new type of PC according to the software giant. 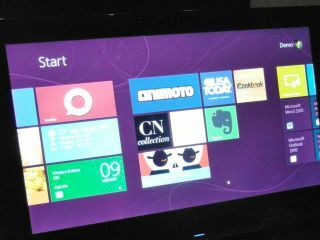 There are also some startling revelations about the Windows 8 ARM desktop, which you can read more about here. In a Mary Branscombe interview for TechRadar, Windows head Steven Sinofsky about the announcement. "Windows on ARM, WOA, is a new member of the Windows family that is built on the foundation of Windows," Sinofsky told us. "It has a high degree of commonality, a very significant amount of shared code with Windows 8. It's going to be developed for, sold and supported as part of our overall Windows ecosystem." "We created WOA so that it would enable a new class of PCs with unique capabilities and form factors. It's a new level of device." "It's up-levelling our ability to meet the consumer demand for a device that is reliable and performant over time. The canonical example is the reset and refresh feature and the difference between that and a clean install." Read the full TechRadar interview with Steven Sinofsky.